My SQL Converter will lighten your work with databases. Using it you can easily convert tables to data formats (xml, dbf, txt and csv) and sql. In few steps you will create reports in xls, doc, html, pdf. 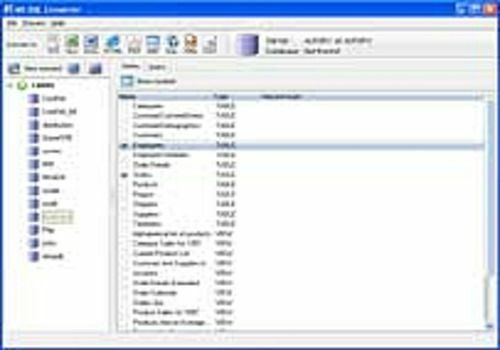 MS SQL Converter allows you to change the selected captions to the ones you need or set header or footer for your files. Download your free evaluation copy now to get all the benefits.